Udi and his wife Fern followed their shared passion for food and opened a dessert company in Northglenn, Colo.
Udi wasn’t pleased with the bread quality or the local wholesale options and so decided to open a bakery next to the sandwich shop and called it Udiyon Bakery. Udi the SandwichMan and Udiyon Bakery businesses outgrew the original space in Northglenn so both businesses moved to two larger spaces on the south side of Broadway and 70th in Denver. Etai, Udi’s son, returned to Denver from New York City to help his parents run and grow the business. Maurizio Negrini was hired to be the head baker. Yasmin was hired to be the head pastry chef of the bakery. The company wanted to streamline their business brand to be more representative of the high-quality products and named the company simply Udi’s. Yasmin developed a granola recipe that would eventually become the basis of a new company founded by Udi, Etai, and Yasmin. The catering and bakery businesses continued to grow so the company moved for a third time to the north side of 70th and Broadway (101 East 70th Avenue) into a building they still own and occupy. The Bar-on family built one building that now housed both the catering and bakery businesses and also left a small space in the front for what would become the first Udi’s Café. Udi, Yasmin, Etai and Eric Clayman created a separate granola company that aimed to bake, packages and distribute granola nationally. Udi and Etai open the first Udi’s Café at their new building at 101 East 70th Avenue. They quickly open another location in Stapleton. Robin, Udi’s daughter, returned from New York City, where she worked at Mario Batali’s Casa Mono and took over as head chef of the family’s two new restaurants. 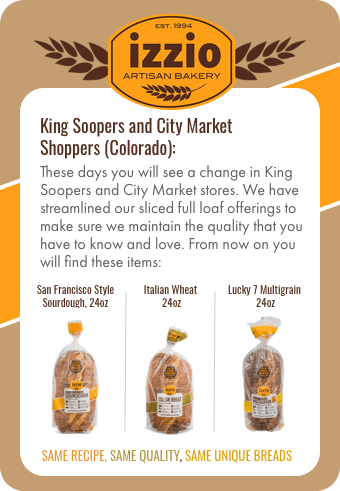 Demand for Udi’s Bread’s continued to expand so the bakery moved to its current location in Boulder County (Louisville, Colorado). Chadwick White, an R&D baker at Udi’s Bread’s, approached Etai and Udi about using the old empty bakery space at101 East 70th Avenue for gluten-free baking. This gluten-free bakery was quickly folded into the national products division of Udi’s. The granola bakery became a granola and gluten-free bakery. To keep up with the tremendous demand, Udi’s Granola and Gluten Free Bakery added a new facility in East Denver (42nd Street and Havana). Udi’s Gluten Free began to drive demand nationally for gluten-free breads, quickly growing to “own” 50% of all national gluten-free baked good sales. The Udi’s Gluten Free Bakery now occupied 3 facilities taking up more than 150,000 square feet of space in Denver, Colorado. Udi’s sold it’s National Products division to Smart Balance (now Boulder Brands, NASDAQ:BDBD) for $125 million. At the time of the sale, Udi’s Gluten Free and Granola were being sold in more than 20,000 stores in North America including Trader Joes, Kroger, Safeway, Loblaws (Canada), Whole Foods, Sprouts, Costco, Wegmans, Publix and even Wal-Mart. Udi’s opened an additional 9 restaurants and cafes for a total of 11 restaurants and cafes. In this time Udi’s also opened a USDA facility of ready-made foods in the old bread bakery and gluten-free bakery and grew the catering business exponentially. Today Udi’s is a family owned and run business that has over 400 employees (all of them in the Denver area) and does most of its business in Colorado. January Udi’s celebrates 20 years of success and sale of gluten-free business with contest to rename the company. February Fans vote on their favorite new name for the company. April Udi’s announces new name! Now we are U Baron Group with four business units: Silvi’s Kitchen (full-service restaurants), Etai’s Bakery Cafes, Etai’s Catering, and Izzio Artisan Bakery.